Create a copy of your OPC DA server. dOPC Clone allows full emulation of other OPC DA servers! This will vastly improve your OPC system development, configuration, and demonstration. dOPC Clone solves the common problem of not always being able to connect to a "real" OPC server to work with. The smart and simple user interface allows you to create an exact copy of the "real" OPC server, in less than five minutes, which contains the same items and data as the original OPC DA server, but which works without any underlying communication network. 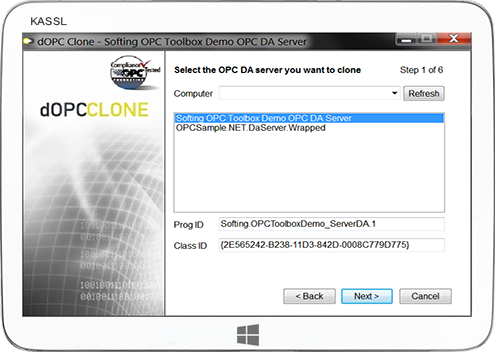 With dOPC Clone it is now much easier to create, develop, test, configure or demonstrate your OPC HMI/SCADA visualisation or other OPC client applications. 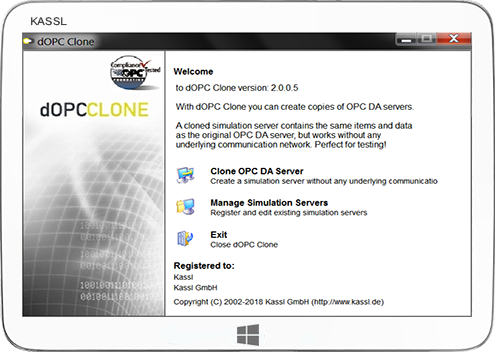 We encourage you to download our free trial version, which is nearly fully functional, to see how fast and easy it is to clone your existing OPC server.